This is the first in a series of videos featuring three young, energetic musicians who have produced their work using only the KORG electribe. 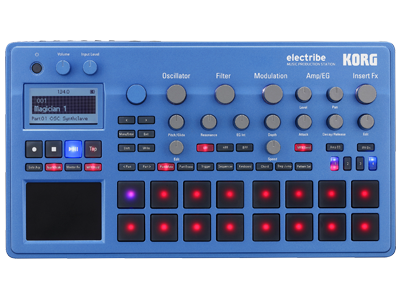 The first one is produced by mryat, who took part in developing the new electribe and who also writes demo songs for several KORG products. His sound is definitely becoming part of the new generation of KORG sounds. Please watch him “cook” with the new Electribe - and enjoy! Home News mryat plays KORG electribe.